Bharat Heavy Electrical Limited [BHEL] Bhopal invites applications from MP Domicile eligible candidate to apply online through website https://www.bhelbpl.co.in/ for the 573 ITI trade apprentice posts. ITI passed from NCVT after March 2016 with minimum 60% marks for General/OBC, 55% marks for SC/ST. Selection Process: Candidates will be selected based on Merit List, Documents Verification. How to apply for BHEL Bhopal ITI Apprentice form 2019? Interested & eligible candidates can register through the apprenticeship website http://www.apprenticeship.gov.in/. Activate apprenticeship registration number then search BHEL Establishment and apply. Then go to BHEL Official website and submit form. Take print out of registration slip and application form for future reference. 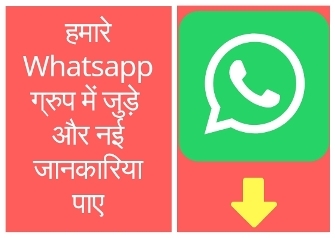 Send Hard copy of application form with applicable documents at Post box number 35, post office piplani, bhel bhopal, pin code – 462022 (Madhya Pradesh). It should be written on envelope that “Application form for ITI (Trade) Apprentice 2019-2020”. Sir mera scvt se clear h iti turner (bhopal gas rahat gov. Iti) can i apply…? iti roll no. Ya NTC NO. ITI Roll no. dal sakte hai.